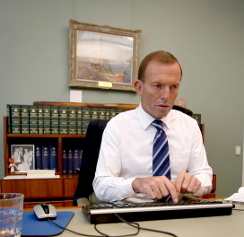 The Federal Government says all its public services will be online in seven years. The Government has laid out a plan for IT reform following years of bungled projects. Tech upgrades for tasks like registering births and deaths, or applying for welfare, would make Australia a world leader in online government services, according to the minister overseeing IT, Michael Keenan. The changes include a digital ID to be rolled out after a series of trials, creating an identity document for all Australians while also protecting privacy. Mr Keenan's announcement at the National Press Club this week comes in the wake of a series of failed technology projects across government departments, including a crashed Census site, Centrelink robo-debt debacle and the accidental leaking of information.